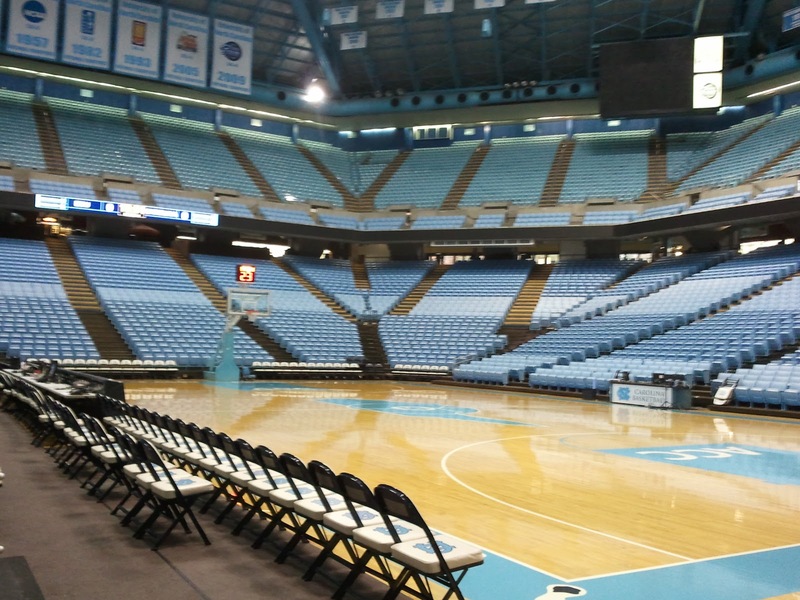 It was an 18-hour hit & run in Chapel Hill, enough time for a nice dinner and an IPA at the Carolina Brewery on Franklin Street, and then a noon matinee at the Dean E. Smith Center. 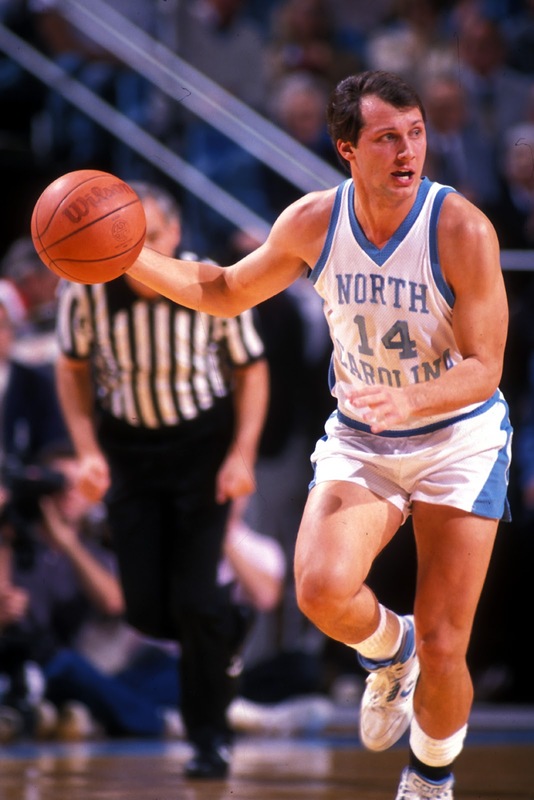 The headline today wasn't that East Carolina was in town to play the Tar Heels, but rather that their coach, Jeff Lebo brought his team where he starred over 20 years ago. 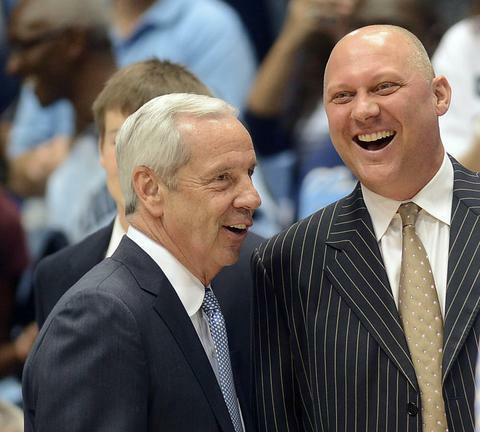 It was so long ago, that Roy Williams was the #3 guy on Dean Smith's staff. It's a good look for Lebo to go scorched earth on the dome in his advanced age. I can relate. Who loves ya, baby? East Carolina didn't put up much of a fight for most of the game, but finished with a barrage of 3's to close within 4 before a tough 93-87 road loss. 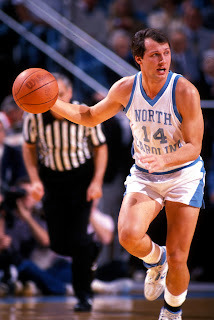 They scored 61 2nd Half points, so (North) Carolina's going to have to work on some D.
I hadn't done a Carolina hoops game in Chapel Hill in quite a while. 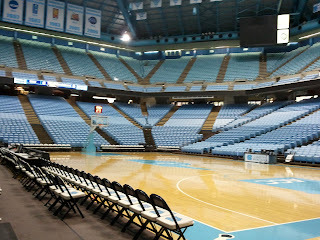 I've been there for football, women's basketball, and women's soccer (they just won their 21st NCAA championship) since my last game at the Dean Dome. My homecoming wasn't quite as noteworthy as Lebo's. That's because I had my one brush with the law in Chapel Hill in December 1995, in the aftermath of a house party hosted by some members of the women's swim team. I can't blog any further without a lawyer present.